Rolling Road Car Tuning and ECU Remapping Dyno Day This weekend we had a marathon Dyno day with our good friend Mark – Chip and Spin Tuning. It was a very busy, with 14 cars tuned on the day, and 18 dyno tested Here are just some of the cars we saw on the day: Audi A8 3.0 Tdi Tuning gave 50bhp VW Passat 1.9 tdi Tuning gave 39bhp Renault Traffic van Tuning gave 45bhp VW Golf tdi Tuning gave 42bhp Audi A4 2.0 Tuning gave 50bhp Audi A3 3.2 V6 Tuning gave 38bhp Audi 2.5 tdi Tuning gave 40bhp VW Golf 2.0 tdi, Tuning gave 45bhp Jaguar 2.0 Diesel Tuning gave 22bhp BMW 328i Tuning Audi 3.0 V6 tdi tuning 80bhp ! 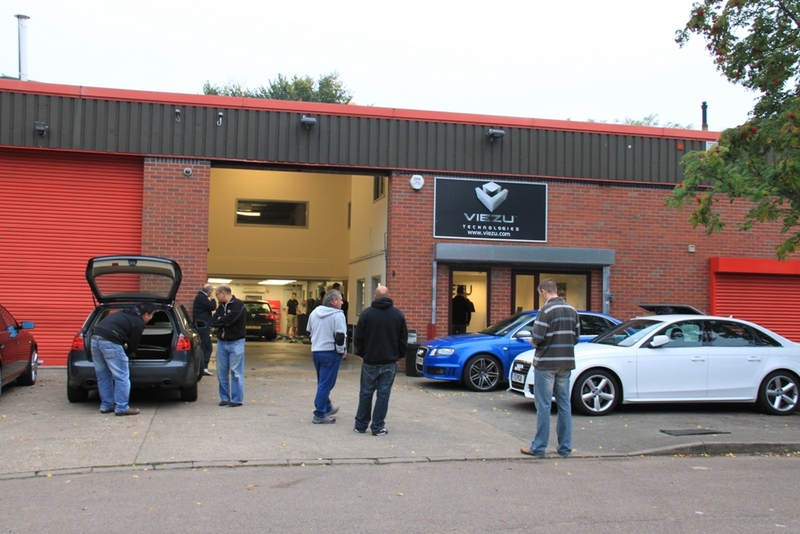 Viezu offer car tuning and ecu remapping for almost all cars, many of the cars on this dyno day were from the Vag family of vehicles, one of our specialist subjects is VW tuning and Audi tuning and performance parts.